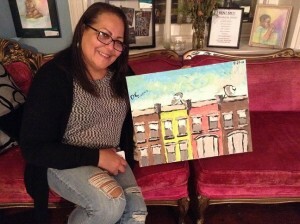 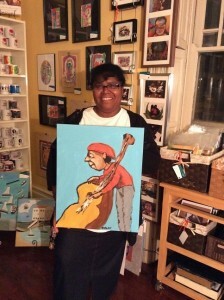 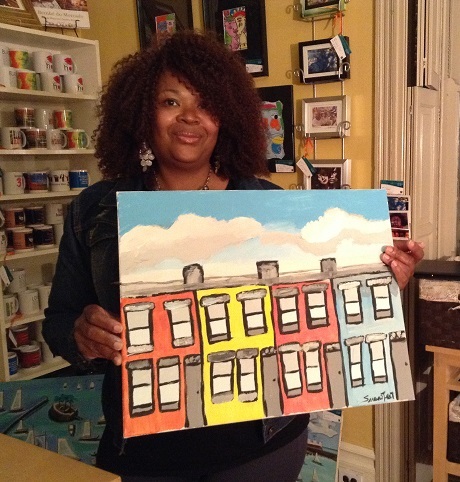 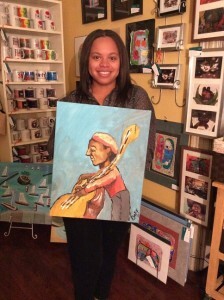 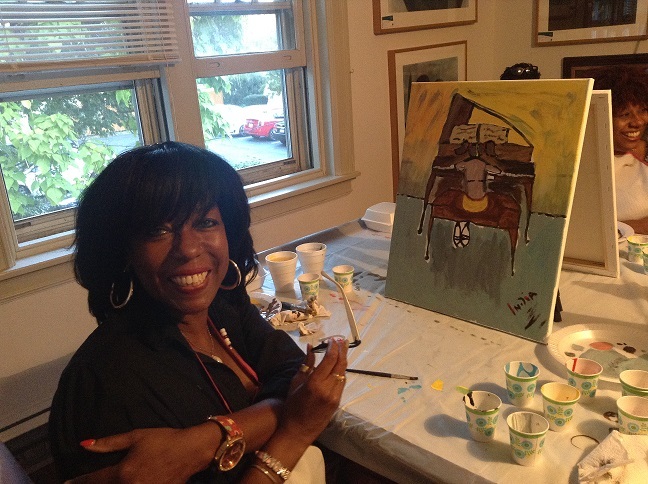 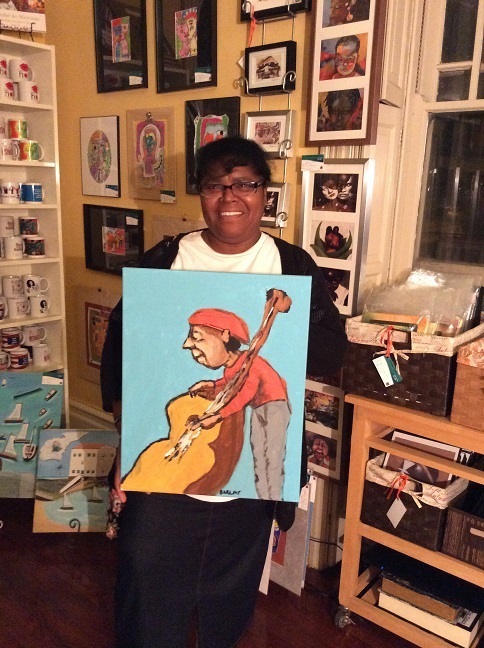 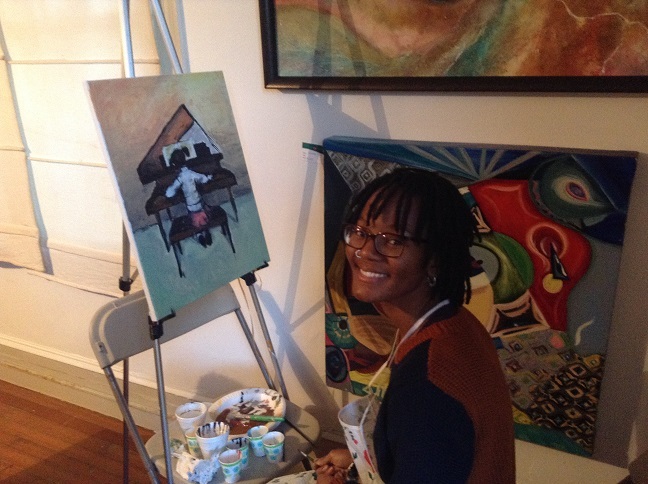 Paint Party features a local art teacher/artist who will teach and show patrons how to paint their own masterpiece. 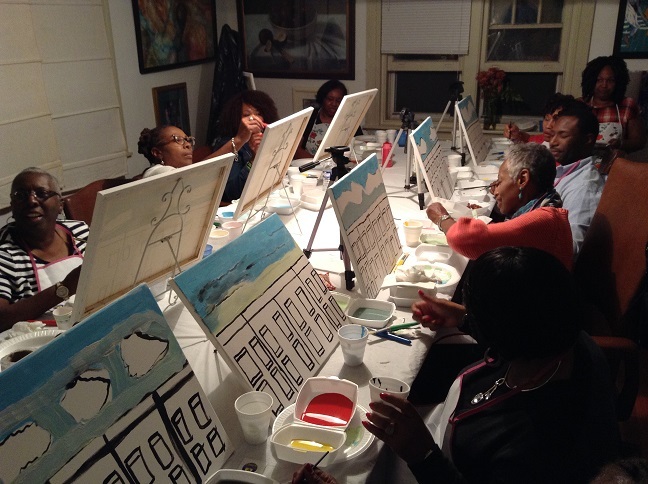 Our gallery provides all painting supplies, including paper and/or canvas, paint, brushes, easels, and aprons to protect your garments. 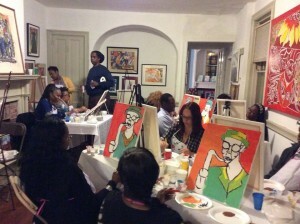 Fundraisers/Charity Events – on these selected evenings, up to 50% of the proceeds will go towards the named charity or fund. 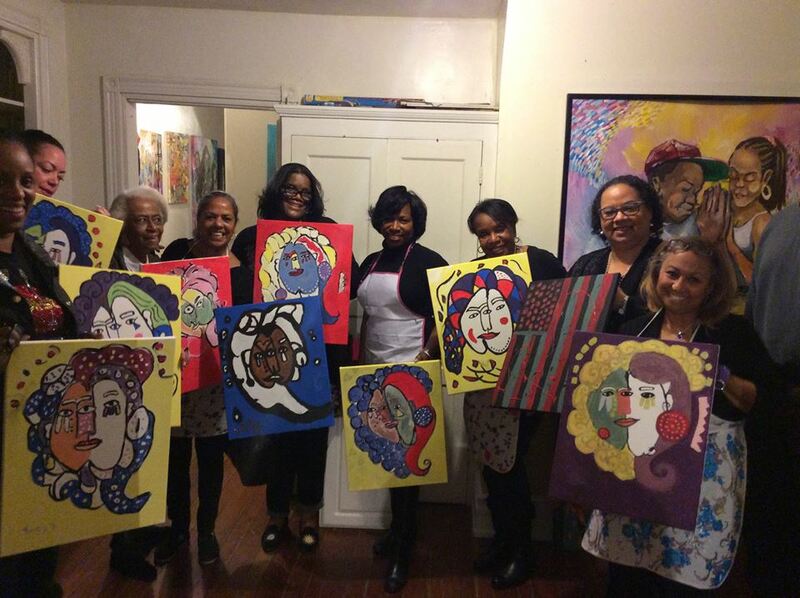 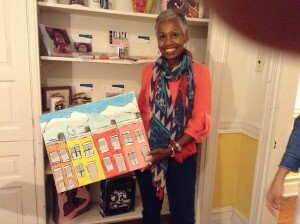 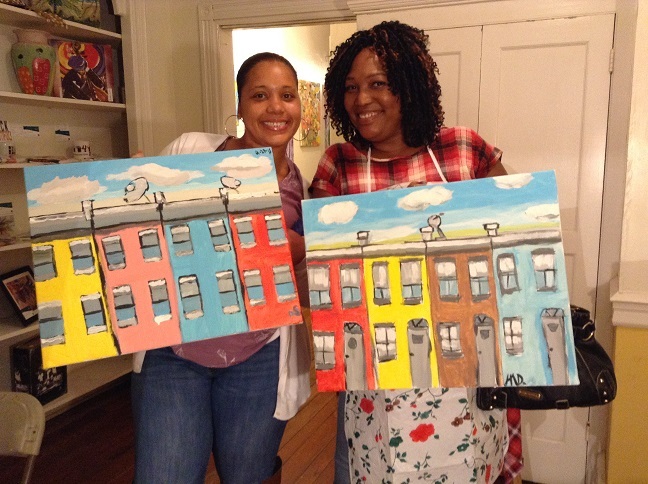 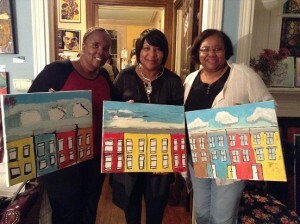 Paint Parties – Images are selected by the instructor at the event. 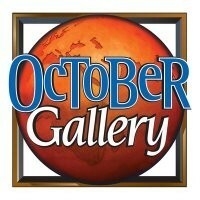 October Gallery reserves the right to cancel or postpone a class/party for unforeseen circumstances. 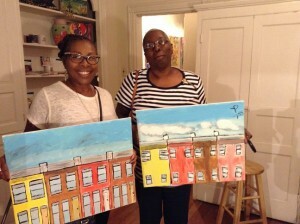 Call 215-352-3114 or email mr@octobergallery.com for more information and to register. 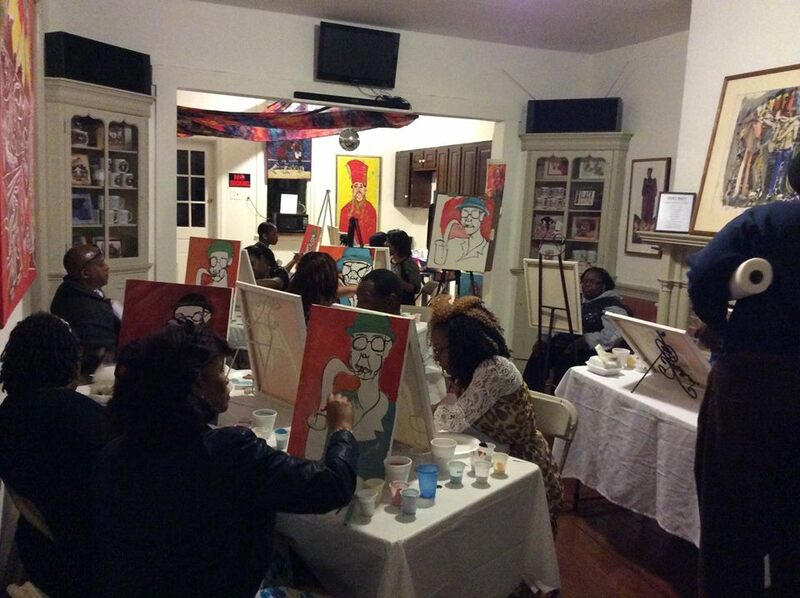 We strongly suggest you arrive 15 minutes early to get receive your supplies and get in your seat. 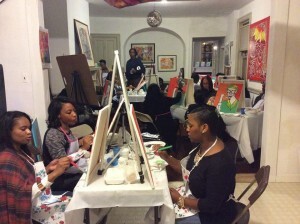 We are an art gallery so if you need more time to get ready for the class/party come as early as you wish and enjoy our many galleries of art. 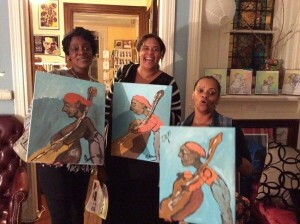 This may also be an opportunity to bring the creative energy out in you by viewing great art in an artful setting. We are located at 6353 Greene Street Philadelphia, PA 19144. There is generally plenty street parking available. 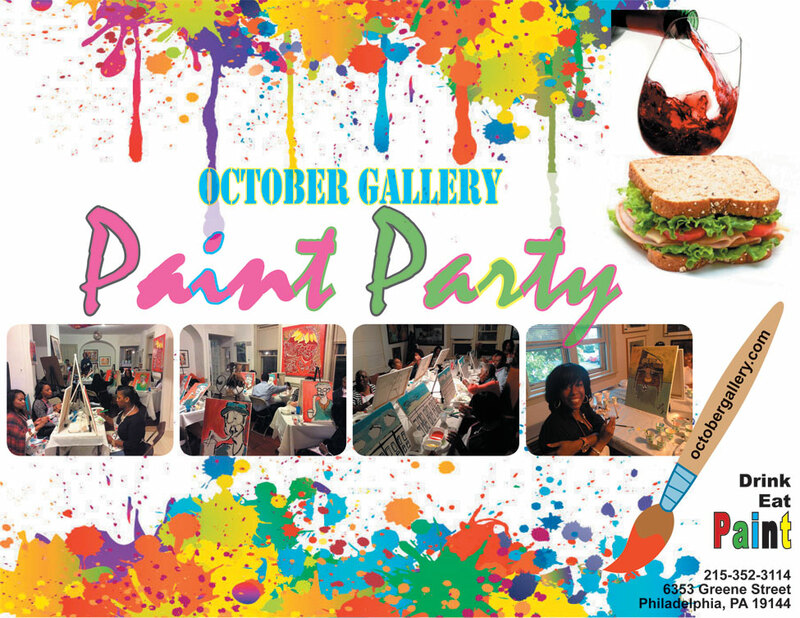 HOST YOUR OWN PAINT PARTY AT OCTOBER GALLERY. 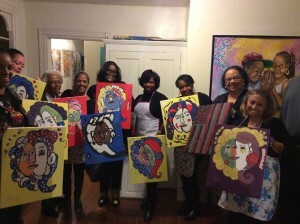 Looking for a unique way to celebrate a special event . Paint Party is perfect for corporate team building, fundraisers, get together with friends, baby or bridal showers and private parties. and the perfect host for your next artful private event. 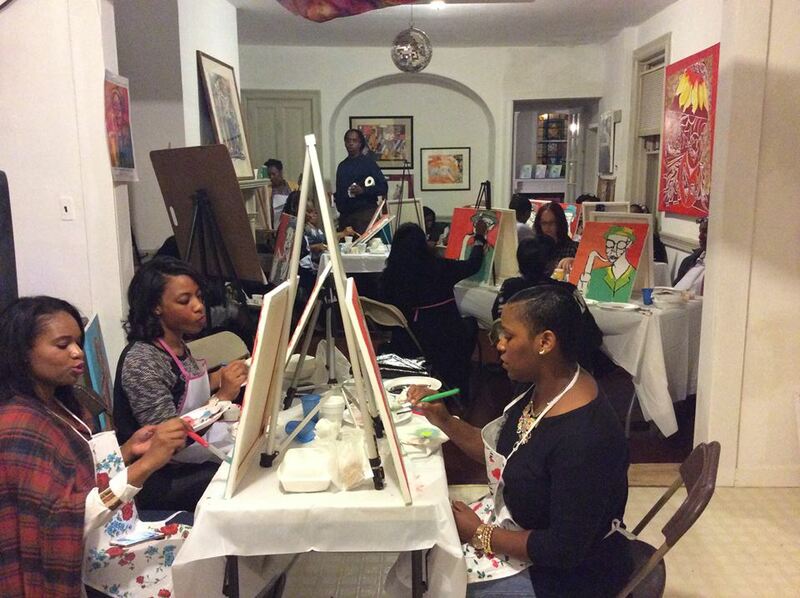 Salon classes/events/parties can be booked anytime we are not already hosting a painting session. 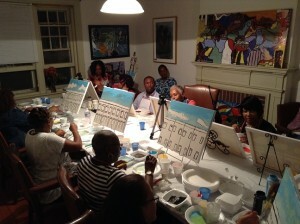 The cost is $25 per painter, with a 10 painter minimum. Price includes instructor and all materials: 16″X 20″ canvas, paints, brushes, etc. and lite fare with complimentary wine or champagne. 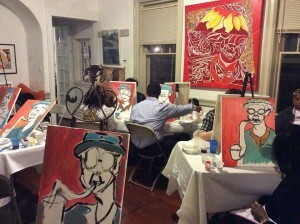 Our gallery can host up to 60 painters. 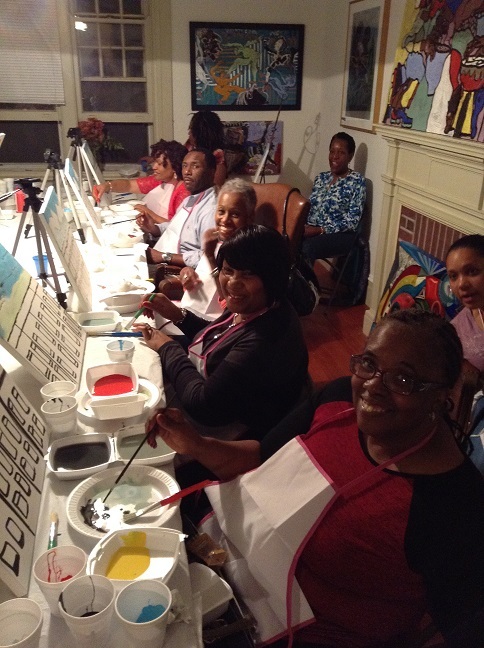 Relax with your group in our wonderful gallery and enjoy an artful, fun and creative night out.